Did you know that Superchips sells more performance programmers for GM/Chevy gas vehicles than any other OEM? Yes, that includes the Jeep® Wrangler. 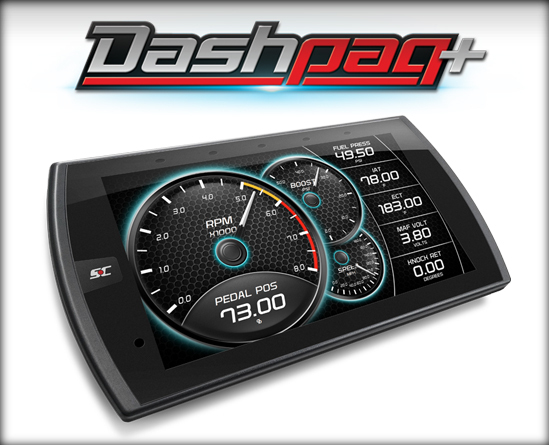 Whether you’re looking for a tuner for your Chevy truck or upgrade for your Camaro or Corvette, the Dashpaq+ includes the power and features you need. GM gas truck and car owners can now take advantage of Superchips trusted, pre-loaded tunes in addition to real-time data monitoring. The Dashpaq+ for GM gas vehicles comes loaded with hundreds of vehicle applications, exciting features like tire/gear options, Active Fuel Management, and performance tests. Increase in horsepower and torque come standard with the Dashpaq+, in addition to countless options like our all-new track ticket and custom gauge customizer! You can add up to 30HP and 40 lb-ft TQ to the rear wheels of your Silverado and Sierra using the Dashpaq+. Yes, adding power is always fun, but the distinct advantage you have with Superchips’ legacy in the in performance aftermarket is assurance. Drive equipped knowing the horsepower provided is not only safe, but meaningful. You can walk the lot here at our facility and catch lots of bowties in the parked outside. Our team has designed power, and corresponding features, to get you off the line faster, through the RPM band safer at load, and to the lake, camping spot, or work more efficiently. Configure your gauges to monitor the most important sets of information for your truck and then observe the data in real-time. Whether you tow recreationally, drive primarily on the highway, or a little bit of everything in between, the Dashpaq+ for Chevy and GMC gas trucks will keep you smiling. Some of our most favorite cars come loaded with significant power off the lot, but Superchips specializes in adding more…and you can add more horsepower and torque safely, and in just minutes, with no tools or pooping of the hood. We’re well aware that Chevy Camaro and Corvette owners and frequently looking for more out of their vehicles. In fact, several of own our calibrators and engineers joined our team after working at speed shops specializing in Chevy Corvette and Camaro upgrades. Needless to say, Superchips offers the power and features, tested and used by our own experts, you are looking for After reprogramming your onboard computer, Dashpaq+ will instantly enhance how your engine performs. Add horsepower and torque all while knowing your engine is more capable than ever before. Camaro and Corvette owners electing to bolt on hard parts and make more sophisticated changes to their vehicles can take advantage of the option to load and store custom tunes using the Dashpaq+. Refer to our custom tuning page for more details and info regarding our network of trusted 3rd party custom tuning shops. Dashpaq+ for GM gas vehicles includes coverage for a variety of Chevy and GMC SUVs and cars. Configure your vehicle today. You can also refer to the coverage matrix below.